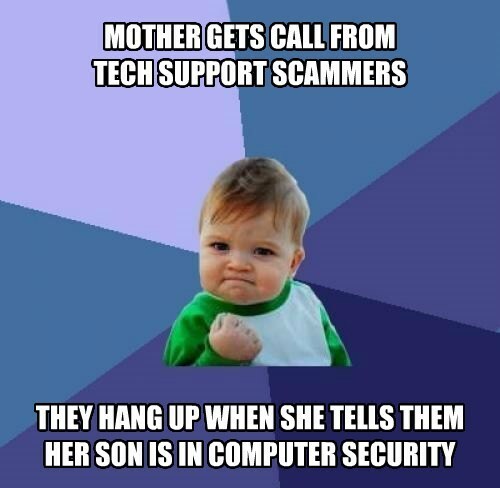 Security Memetics: Way To Go, Mom! True story, this actually happened last Friday. Unfortunately this wasn't before she gave them remote access to her system with TeamViewer (so I still have to rebuild the system). Still, the fact that she didn't give them administrative access and scared them away this way when they asked if there was anyone else who could give them the access they were looking for is a victory and I'll take it.